NEW YORK--April 24 2008 --NYSE Euronext (NYX) today announced that NYSE Arca Options began trading options on Claymore/MAC Global Solar Energy Index ETF (TAN). With an average daily volume increase of 67% in March 2008 and total volume increase by 71% compared to March 2007, NYSE Arca Options continues to offer superior functionality, competitive pricing, and cost effective executions for its customers. Originally listed on NYSE Arca on April 15, 2008, TAN is designed to track approximately 25 companies within the following business segments of the solar power industry: equipment producers, suppliers of materials or services, installation, integration or finance, and companies that specialize in selling electricity. As the first ETF to offer exposure to solar energy securities, the Claymore/MAC Global Solar Energy Index grants investors access to one of the world’s fastest growing industries. The Claymore/MAC Global Solar Energy Index ETF has an average daily trading volume of 536,494 shares with $42,726,460 million assets under management in only its first week of trading. NYSE Arca’s markets share of trading in TAN since listing is 82.3%. NYSE Euronext (NYX) operates the world’s leading and most liquid exchange group, and seeks to provide the highest levels of quality, customer choice and innovation. Its family of exchanges, located in six countries, include the New York Stock Exchange, the world's largest cash equities market; Euronext, the Eurozone's largest cash equities market; Liffe, Europe's leading derivatives exchange by value of trading; and NYSE Arca Options, one of the fastest growing U.S. options trading platforms. NYSE Euronext offers a diverse array of financial products and services for issuers, investors and financial institutions in cash equities, options and derivatives, ETFs, bonds, market data, and commercial technology solutions. NYSE Euronext's nearly 4,000 listed companies represent a combined $27.3 / €17.3 trillion in total global market capitalization (as of March 31, 2008), more than four times that of any other exchange group. NYSE Euronext's equity exchanges transact an average daily trading value of approximately $169.6 / €113.2 billion (as of March 31, 2008), which represents more than one-third of the world's cash equities trading. NYSE Euronext is part of the S&P 500 index and the only exchange operator in the S&P 100 index. For more information, please visit www.nyx.com. This press release may contain forward-looking statements, including forward-looking statements within the meaning of the Private Securities Litigation Reform Act of 1995. Such forward-looking statements include, but are not limited to, statements concerning NYSE Euronext's plans, objectives, expectations and intentions and other statements that are not historical or current facts. Forward-looking statements are based on NYSE Euronext's current expectations and involve risks and uncertainties that could cause actual results to differ materially from those expressed or implied in such forward-looking statements. Factors that could cause NYSE Euronext's results to differ materially from current expectations include, but are not limited to: NYSE Euronext's ability to implement its strategic initiatives, economic, political and market conditions and fluctuations, government and industry regulation, interest rate risk and U.S. and global competition, and other factors detailed in NYSE Euronext’s reference document for 2006 ("document de référence") filed with the French Autorité des Marchés Financiers (Registered on June 6, 2007 under No. R.07-0089), 2007 Annual Report on Form 10-K and other periodic reports filed with the U.S. Securities and Exchange Commission or the French Autorité des Marchés Financiers. In addition, these statements are based on a number of assumptions that are subject to change. Accordingly, actual results may be materially higher or lower than those projected. The inclusion of such projections herein should not be regarded as a representation by NYSE Euronext that the projections will prove to be correct. This press release speaks only as of this date. NYSE Euronext disclaims any duty to update the information herein. POINT ROBERTS, WA and DELTA, BC April 24, 2008 ,www.RenewableEnergyStocks.com, a leading investor news and research portal for the renewable energy sector within Investorideas.com, presents featured showcase Geoexchange Technology Provider, Essential Innovations Technology Corp. (OTC Bulletin Board: ESIV - FRANKFURT: E6S). POINT ROBERTS, WA and DELTA, BC---Apr 22, 2008 -- www.RenewableEnergyStocks.com, a leading investor news and research portal for the renewable energy sector within Investorideas.com, presents a sector close-up on solar stocks as investors think of green investing for Earth Day 2008. For investors following solar stocks, a new solar ETF may be a diversified way to invest in and track the sector. The Claymore/MAC Global Solar Energy ETF (Market, News) tracks an index comprised of 25 global solar companies. Renewable Energy Stocks' solar expert, J Peter Lynch, commented, "There is always the chance that the solar tax credit extensions will fail again given the dysfunctional politics currently in operation in the U.S. But even if this most negative of outcomes should come to pass, it will only delay the inevitable. The solar giant will sleep a bit longer -- but not for very much longer. "Once America awakens, you can take all the current supply and demand projections and throw them out the window. America's active entrance into the world solar market will dramatically ramp up the demand side of the equation and mark the beginning of a massive renewable transition." "According to the U.S. Department of Energy's international energy outlook report, worldwide demand for electricity is expected to nearly double over the next two decades," stated Tom Djokovich, CEO of XsunX, Inc (OTC BB:XSNX.OB). "When we stop for a moment on Earth Day to picture a world demanding twice the electrical power that we consume today I think it provides a sobering moment to realize that we can not continue to use our air and water supplies as a dumping ground. Alternatives such as solar power provide a solution and a clear path to helping solve our energy demand needs while creating a safer environment for all of us. This growth in demand is why XsunX is working to help fill the need for solar power alternatives. We've been working on the build-out of our first 25mega-watt thin-film solar module manufacturing facility and we're making consistent progress. We hope to announce soon the completion of several of our material supply agreements to ensure access to the materials we will need to manufacture our solar modules. Today global electricity generation represents about $1 trillion in revenues and as demand grows we plan to play a part in the long-term growth of solar and the broader electrical power industry." In comparing renewable current energy sources, Brian C. Yerger, Research Analyst at Jesup & Lamont Securities, remarks, "We have 2 primary energy needs: Oil/gasoline used for transportation needs does not directly compete with solar, wind, and geothermal despite the (incorrect) strong market correlation. The other is coal and natural gas for electricity needs which does compete with solar, wind, geothermal and those prices, not oil, would be the better fossil fuel pricing indicators renewable energy investors should be aware of." "As the solar industry continues to evolve, solar will become a key energy source providing not only to our homes and businesses with earth-friendly power but also providing power on a larger scale to municipalities and developing areas where electricity is limited," said Ezra Green, Chief Executive Officer of Clear Skies Solar. "At Clear Skies Solar (OTC BB:CSKH.OB ), we are working to find new and unique ways to harness the power of the sun. In just the last two months we've launched our patented XTRAX® Solar Monitoring System, a proprietary Solar Power Supply (SPS) Vehicle Data Monitoring Device and the TetraPort Solar Energy Carport System that even includes independent AC power outlets to charge electric or hybrid automobiles. Our in-house research and development department will continue to work each day to find new uses for solar energy or enhance existing solar solutions in an effort to limit fossil fuel use and make solar energy a viable alternative for everyone." Akeena Solar Inc. (NASDAQ:AKNS) has grown to become one of the largest national installers of residential and commercial solar power systems in the United States. Evergreen Solar Inc. (Market, News) develops, manufactures, and markets solar power products primarily in Europe and the United States. LDK Solar ADR (Market, News) recently completed a $400 million offering of 4.75 percent convertible senior notes. First Solar (Market, News) gave investors impressive gains as everyone think green for Earth Day. Featured Showcase Solar Company: Clear Skies Solar, Inc. (OTC BB:CSKH.OB ) through its wholly owned subsidiary, Clear Skies Group, Inc., provides full-service renewable energy solutions to commercial, industrial, and agricultural clients across the country. CSG was incorporated in 2003 and launched formal operations in 2005. During that time period, CSG developed its proprietary systems, obtained licenses and certifications, and acquired technologies that could maximize the impact of its construction expertise on the renewable energy sector. CSG has become one of the premier solar electric installation companies in the country. More info can be found on the Investorideas.com Company Showcase, or www.clearskiesgroup.com. SUNNYVALE, CALIF. – APRIL 21, 2008 – In celebration of Earth Day, Yahoo! (NasdaqGS: YHOO) today announced the launch of a “Free Is Good” campaign aimed at motivating its online community of more than 500 million users worldwide to reduce their impact on the environment through reuse. From April 20 through May 4, Yahoo! will help inspire people to join groups and recycle by placing eco-friendly prizes, such as a “Smart car”, eco-trips and green cleaning services, in randomly selected reuse groups. Yahoo! created a microsite to make it easy for users to find a reuse group in their community. The site will be promoted on Yahoo!’s homepage and throughout the network. Yahoo! will also host reuse events at many of its campuses worldwide for employees. Yahoo! is teaming up with reuse groups like Freecycle, a grassroots community of 4.7 million members across 85 countries, and other popular online reuse groups, to inspire people around the world to think twice before throwing an item in a landfill. In addition to helping our planet, reusing helps people save money and give back to their community. Reuse groups such as Freecycle are the most trafficked on Yahoo! groups. “Freecycle” was the 3rd top green search in 2007. According to the US Environmental Protection Agency (EPA), the amount of waste each person creates has almost doubled from 2.7 to 4.4 pounds per day over the past 35 years. The EPA recommends source reduction, which includes reuse, as the most environmentally sound strategy for preventing waste. A recent online survey of 2,000 US adults conducted by Yahoo! and Decipher Inc. found that 90 percent of respondents said that they would consider product reuse if more education was done on the matter. Yahoo!’s Earth Day Microsite can be found at http://green.yahoo.com/earth-day. Yahoo! Inc.(NasdaqGS: YHOO) is a leading global Internet brand and one of the most trafficked Internet destinations worldwide. Yahoo! is focused on powering its communities of users, advertisers, publishers, and developers by creating indispensable experiences built on trust. Yahoo! is headquartered in Sunnyvale, California. For more information, visit pressroom.yahoo.com or the company’s blog, Yodel Anecdotal. Globally, wind energy and solar energy are among the fastest growing renewable energy sources. According to the World Wind Energy Association, wind energy generates more than 1 percent of global electricity and is used in more than 70 countries. Solar power continues to grow in popularity as an energy source, with Germany, Japan and the United States leading the world in solar energy capacity. Additionally, rooftop solar heat collectors provide hot water to more than 50 million households worldwide. In early 2008, MONOPOLY fans from around the world voted for the global cities that they would like to see represented on the first-ever World edition game board. More than 5 million votes were cast during the voting period to determine the 22 cities that will be featured on the game board. The results of the worldwide vote will be announced in August 2008. The new MONOPOLY Here & Now: The World Edition will be available in stores around the world in Autumn 2008. The official MONOPOLY board has long represented elite locations in individual cities. However, recently Parker Brothers invited fans of the game to help update the board in their respective countries to reflect what the game board would look like if it were created today instead of in 1935. The votes resulted in the “Here & Now” versions of the game in each country. Previous “Here & Now” editions have featured “Cell Phone Service” and “Internet Service” instead of the Water Works and Electric Company utility spaces. Since 1935, more than 250 million copies of the MONOPOLY game have been sold in 103 countries and 37 languages. More than 200 different editions of the game have been published, but the most popular continues to be the classic "Number Nine." Affectionately known by its original product number, "Number Nine" is based on the streets of Atlantic City and is nearly identical to Charles Darrow's original submission to Parker Brothers. The MONOPOLY name and logo, the distinctive design of the game board, the four corner squares, the MR. MONOPOLY name and the character, as well as each of the distinctive elements of the board and playing pieces are trademarks of Hasbro for its property trading game and game equipment. © 2008 Hasbro, All Rights Reserved. Hasbro (NYSE:HAS ) is a worldwide leader in children's and family leisure time entertainment products and services, including the design, manufacture and marketing of games and toys ranging from traditional to high-tech. Both internationally and in the U.S., its PLAYSKOOL, TONKA, MILTON BRADLEY, PARKER BROTHERS, TIGER, CRANIUM and WIZARDS OF THE COAST brands and products provide the highest quality and most recognizable play experiences in the world. © 2008 Hasbro, Inc. All Rights Reserved. NEW YORK--April 15 2008 --RecycleBank, a rewards program that motivates households to recycle, announced today that it has secured $30 million in Series B funding from leading venture capital firms, Kleiner, Perkins, Caulfield and Byers (KPCB), RRE Ventures, Sigma Partners and The Westly Group. RecycleBank will be using this funding to rapidly scale in the United States and continue expansion into Europe in the next 24 months. KPCB and The Westly Group join RecycleBank’s current investors, RRE Ventures and Sigma Partners in funding the growth and expansion of RecycleBank. KPCB has been an early investor in more than 300 information technology and biotech firms for more than 30 years, including Sun Microsystems, Google and Amazon.com. Today, KPCB is actively working with GreenTech innovators and entrepreneurs. Al Gore recently joined KPCB as a partner, securing a strategic alliance with Gore’s Generation Investment Management. By combining the network, vision, expertise and global reach of Al Gore and Generation Investment Management, KPCB’s goal is to help entrepreneurs change the world. The Westly Group invests in and advises leading CleanTech companies in an effort to accelerate the CleanTech revolution. The company was founded by Steve Westly, who most recently served as the controller and chief fiscal officer the state of California, the world’s sixth largest economy. With extensive operating experience in the private and public sectors, from Silicon Valley to Washington and beyond, The Westly Group uses its experiences to give firms the momentum they need to achieve their potential. “I truly believe that while most people are focusing on biofuels and solar, recycling is on the cutting edge of clean technology – and RecycleBank is the future of recycling,” said Steve Westly, managing partner of The Westly Group. In addition to receiving funding from both KPCB and The Westly Group, both RRE Ventures and Sigma Parthers invested in the Series B round. The two companies were part of RecycleBank’s round of Series A funding that was announced in May of 2007. Through the secured Series A funding, RecycleBank was able to expand quickly throughout the Northeast. With this round of Series B funding, RecycleBank will be expanding its program throughout the U.S., Europe and beyond. RecycleBank motivates households and communities to recycle by measuring the amount of recyclables from each home and converting the weight into RecycleBank Reward Points. These Points can be viewed and redeemed at www.recyclebank.com with more than 400 national RecycleBank Reward Partners such as Kraft Foods, Evian® Natural Spring Water, Dunkin’ Donuts, Stonyfield Farms, Green Mountain Coffee and Coca-Cola, as well as local reward partners like restaurants and grocery stores. Currently, RecycleBank is in more than 40 municipalities throughout Pennsylvania, Delaware, Massachusetts, Vermont, Connecticut and New Jersey. To date, RecycleBank households have already diverted more than 36 million tons of recyclables from landfills. “Having an investment team that includes RRE Ventures, Sigma Partners, KPCB and The Westly Group is a great compliment to the exceptional team of people at RecycleBank, the value that we are building and our social mission,” said Ron Gonen, co-founder and CEO of RecycleBank. RecycleBank is a rewards program that motivates people to recycle. It does this by quickly and easily measuring the amount of material each home recycles and then converting that activity into RecycleBank Reward Points that can be used at hundreds of local and national rewards partners. RecycleBank is simple to implement, market-driven and proven to work, saving municipalities’ money and rewarding citizens for their environmental stewardship. RRE Ventures and Sigma Partners are the largest institutional shareholder group and Ron Gonen, the co-founder and CEO is the largest individual shareholder. RecycleBank is headquartered in New York City and also maintains an office in Philadelphia. Visit www.recyclebank.com for more information. Kleiner Perkins Caufield & Byers is leading the venture community to invest in and accelerate Green technology solutions and policy innovations. The firm has been active in GreenTech initiatives since 1999. KPCB has committed more than $200 million to ventures across the globe that offer green technology products and services, such as better biofuels, renewable energy generation, cleaner transportation, improved energy storage, and higher energy efficiency technologies. More than half the firm’s investing professionals are involved in GreenTech investments. www.kpcb.com/greentech Since its founding in 1972, KPCB has backed entrepreneurs in over 475 ventures, including AOL, Align Technology, Amazon.com, Citrix, Compaq Computer, Electronic Arts, Genentech, Genomic Health, Google, IDEC Pharmaceuticals, Intuit, Juniper Networks, Netscape, Lotus, LSI Logic, Sun Microsystems, Symantec, Verisign and Xilinx. More than 150 of the firm's portfolio companies have gone public. Many other ventures have achieved success through mergers and acquisitions. The firm has offices in Menlo Park, California, Beijing, China and Shanghai, China. Since its founding in 1994, RRE Ventures has been dedicated to helping talented management teams build leading companies in the software, communications, and financial services industries. With $850 million in assets, the firm backs entrepreneurs and management teams that possess the knowledge, vision, and discipline to create market-dominating companies. RRE’s team offers a unique combination of management, operations, and investment expertise, as well as an unrivaled network of relationships that has helped build over ninety companies. For more information, visit: www.rre.com. Founded in 1984, Sigma Partners is a leading early-stage venture capital firm. The Sigma team uses their deep operational experience to provide entrepreneurs with practical strategic counsel through every phase of company growth. With over $1.5 billion under management and bicoastal offices, Sigma invests in innovative technology startups across the United States. Some of the market leading companies in which Sigma has invested include Atria, Cascade, Clarify, Internet Security Systems, KLA-Tencor, Octel, VeriFone, Vermeer, and Vignette. For more information, please visit http://www.sigmapartners.com. The Westly Group is a clean technology-oriented venture capital firm located in Menlo Park, California. We focus primarily on companies with proven revenue streams but are open to investments in all stages of growth. We are looking for teams with innovative technologies to solve the world’s most pressing problems. We believe in the power of the passionate entrepreneur—whether sitting in a modern office tower or a dark Silicon Valley garage—to change the world. Our investments tend to be in later stage companies with existing revenue streams and proven technologies. To win in the clean technology space, a company must navigate the halls of government, build a team that knows how to move fast, and meet the modern regulatory standards required of public companies. We pride ourselves on our ability to help our portfolio companies grow and succeed under these conditions. SAN FRANCISCO, April 9, 2008 -- The Cleantech Group(TM), founders of the cleantech investment category and providers of leading global market research, released today 1Q08 results for cleantech investments in North America, Europe and Israel totaling $1.25 billion, up 42 percent from the same period a year ago. 1Q08 represents the second consecutive quarterly decline since the record third quarter of 2007, yet is an all-time record for a first quarter period in the cleantech category, and also the first time a first quarter has exceeded the $1 billion mark. Cleantech Group recorded 79 transactions in 1Q08, averaging $15.8 million per round, up 53 percent from the $10.3 million average a year ago. The increase represents the 4th consecutive quarter of double-digit growth on a year-over-year basis. On a sequential basis, the $1.25 billion invested in 1Q08 was down 20 percent from what was a very strong 4Q07, reflecting possible seasonality in the sector. "While the long-term investment trend shows continued expansion of the category as a whole, we are seeing contraction in what had been the market-leading sectors of first generation biofuels and second generation solar," said John Balbach, Managing Partner, Cleantech Group. "This healthy minor correction indicates exuberance is giving way to tempered optimism." -- ETHANOL AND WIND (2005-2006): Powered by investments in US ethanol and European wind energy companies, the wave peaked in 3Q06 at $1.52 billion and has steadily declined since. -- THIN FILM SOLAR (2007): Driven by investments in US and European thin-film solar companies, this wave peaked in 3Q07 at $1.83 billion invested, and has since contracted for two consecutive quarters, to $1.56 billion 4Q07 and $1.25 billion in 1Q08. Thin-film technologies accounted for approximately two-thirds of investments in solar, while crystalline technologies accounted for one-third. In North America, $873 million was invested in 50 companies. North American cleantech investing increased by 35 percent year-over-year, up from 20 percent growth between 1Q07 and 1Q06. Investment in 1Q08 was lower than the record-breaking 3Q07 and 4Q07, while average deal size has continued to increase for six straight quarters. Energy-related cleantech (energy generation, storage, efficiency and infrastructure) in North America received $678 million, 77.6 percent of the investment total, across 37 companies. Energy has represented at least two-thirds the number of North American cleantech deals for the last eight quarters. Both Silicon Valley and Canada exhibited seasonal dips, with relatively low $116 million and $43 million invested respectively. California accounted for 32.3 percent of total investments, compared to the previous six quarters of at least 40 percent. The Boston tech cluster hit a high mark of $165 million invested. European and Israeli cleantech companies received USD $377 million in 29 transactions. The quarter was up 63.8 percent year-over-year, a record first quarter, and up 4 percent quarter-over-quarter. The top five investments accounted for 75 percent of the total, including three solar companies in Israel and Germany, one wave energy company in the UK, and one materials company in Sweden. Excluding Israel, European cleantech companies raised $245 million, representing a lowered 7 percent growth versus a year ago. Western Europe, including the UK, was tracked at $217 million invested in 18 transactions. Israel had a breakout quarter with $132 million across nine companies, the highest ever for the country, driven mainly by a $105 million investment in solar thermal concentrator company Solel Solar Systems. This is a 75 percent increase from the previous quarter. Energy Generation continues to dominate European cleantech investing, accounting for 80 percent of the $377 million total, and up 75 percent from 4Q07. Cleantech M&A amounted to 47 transactions completed in 1Q08, up from 39 in 1Q07, but less activity versus the previous three quarters. Airtricity was the top acquisition, valuing the wind farm company at approximately $2.1B. Over half of M&As were in energy generation. Cleantech IPOs hit an all-time low with four recorded, the largest being Shenzhen Topray Solar listing on the Shenzhen Stock Exchange generating $60M. The Cleantech Index (CTIUS), composed of 46 companies with a combined market capitalization of approximately $340 billion, was not immune from downward pressures on public equities. Despite sliding 13.6 percent in 1Q08, CTIUS outperformed the NASDAQ Composite Index (down 14.1 percent) and outperformed nearly all the alternative energy indices, which fell in the 18-30 percent range. The S&P 500 was down 9.9 percent and the Russell 2000 Index fell 10.2 percent. 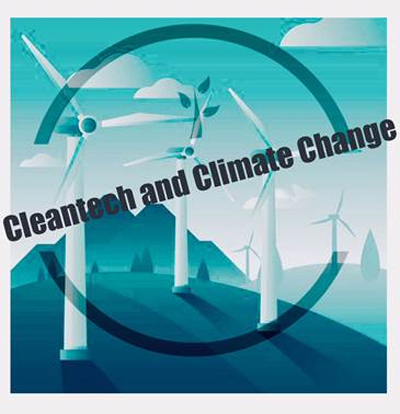 The Cleantech Group, LLC provides insight, opportunities and builds relationships that catalyze and accelerate market adoption and commercialization of clean technologies globally. The Cleantech Group founded the cleantech investment category and through its membership services brings together investors, executives, thought leaders, policy makers, and entrepreneurs to facilitate the growth of cleantech globally. Visit http://www.cleantech.com. NEW YORK & INDIA - Clear Skies Solar, Inc. (OTCBB: CSKH) today announced a $20 million agreement, subject to financing, with Power Cube, a company located in Utter Pradesh, India to develop and construct the first of several solar energy projects in India. In this project, which is Clear Skies Solar’s first step into the international arena, the company will design and construct a multi-megawatt solar power system that will supply power to a steel mill and support the community’s energy grid system, providing much-needed energy on this particular line. Clear Skies Solar, Inc. (CSS) through its wholly owned subsidiary, provides full-service renewable energy solutions to commercial, industrial, and agricultural clients across the country. CSS was incorporated in 2003 and launched formal operations in 2005. During that time period, CSS developed its proprietary systems, obtained licenses and certifications, and acquired technologies that could maximize the impact of its construction expertise on the renewable energy sector. CSS has become one of the premier solar electric installation companies in the country. For more information about CSS, visit www.ClearSkiesSolar.com. April 7 2008 Research and Markets (http://www.researchandmarkets.com/reports/c87786) has announced the addition of "Strategic Analysis of the Chinese Biofuel Market" to their offering. The rapidly developing Chinese biofuel market is expected to gain momentum with the Chinese Government's move to assign top priority to renewable energy. Challenges thrown up by agricultural, energy, and environmental considerations have stimulated increasing interest in renewable energy sources, primarily biofuel. Although the market is still in the embryonic stage, the potential it offers is enormous. Since 2001, China has been actively propagating the utilization of environmental-friendly energies. Since biofuel is a low-pollution fuel compared to mineral petroleum or diesel, it has proved to be the best option among these new energies. The Renewable Energy Act, 2006 defines the scope of biofuel and acknowledges its strategic position in China's economic growth. The Government has introduced a special fund for the development of renewable energy. Producing far less pollution than mineral petroleum or diesel, biofuel also helps to bolster China's strategies to promote an inherently cleaner economy. Since the 1990s, China has been witnessing increased growth in energy consumption. Domestic sources are unable to cope with the rising demands from the industry and transportation sectors, consequently forcing China to depend heavily on imported petroleum. To implement its long-term development plans to boost biofuel production, the Government offers tax exemption and financial subsidies for rural residents engaged in the cultivation of biofuel energy crops. By promoting the cultivation of energy crops and providing working opportunities in the biofuel industry, China is helping the development of the rural economy. The Government is also following a policy of protectionism and creating an advantageous market environment for domestic manufacturers. "At present, most biofuel manufacturers are domestic participants," notes the analyst of this research service. "In fact, all four bioethanol factories are large-sized state-owned enterprises." The shortage of feedstock, especially in the wake of the increased demand for biofuels, is a major constraint to the development of the bioethanol as well as the biodiesel segments. As biofuel feedstock cultivation is still in the development stages, large-scale supply is lacking at this juncture. "Whether the feedstock supply can satisfy the need of the biofuel industry is determined by the land availability for energy crop and the security status of food in China," says the analyst. According to the Biomass Industry Development Plan, arable land was not allowed to be used for the cultivation of non-food crop; instead, feedstock cultivators could only use wasteland, alkaline, or saline land. The National Development and Reform Commission has outlined a detailed plan of action for the bioethanol industry, wherein the production of bioethanol is expected to reach 200,000 tons by 2010. China has also commissioned four pilot projects dedicated to the production of bioethanol to augment its efforts to step up production. A series of guidelines, plans, and strategies were undertaken to invigorate the production of biomass energy since 2005. To ensure the steady development of the domestic biodiesel industry, China is likely to continue having a stern regulatory control on the biodiesel industry from 2007 to 2010, while the more advanced bioethanol segment already has regulations governing it," says the analyst. This stringent national control over the bioethanol industry has dissuaded foreign investment." However, investors could gain favourable policy outcomes and government support by liaising extensively with government branches. They also need to conform to the Chinese regulatory environment and establish alliances with local manufacturers instead of setting up wholly funded branches. This Frost & Sullivan research service titled Strategic Analysis of the Chinese Biofuel Market provides an overview of the Chinese biofuel market size and structure as a whole, along with the complete analysis of key market drivers, restraints, and trends that are impacting the market growth of key engineering plastics. In this research, Frost & Sullivan's expert analysts thoroughly examine the following markets: biodiesel and bioethanol.